– It added the possibility to delete “comments” individually instead of erasing the entire comment stream linked to a picture. – You can now ban any user. – Reporting a user is now possible. However the most important improvement is the introduction of # (called hashtags) in the app. A hashtag is a “symbol” (or code) that allows web search engines to find and categorize messages, keywords and in the case of Instagram, pictures. For instance, if you type #cat or #cats in one of your pictures, any user anywhere in the world looking for “cat” or “cats” will easily find your picture and others user’s pictures using the same #keyword. Where should I use a hashtags on Instagram? Use Hashtags in every picture comment you make! 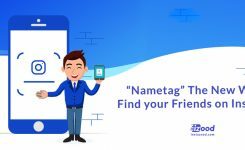 This will enable any user interested in your pictures to easily find them with one single search and also eliminate the need of scrolling through all the pictures on a user’s profile. Add a name or a description to each one of your pictures. The idea here is not to tag every single word, only the most relevant and important. Adding a hashtag on your cat called Kitty is probably not very relevant for searches; it would be better to add keywords such as #pet or #pets. – Where did you take the picture? Its always interesting for Instagram users to look for pictures of places, use hashtags on them. 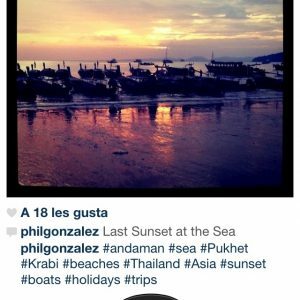 Pic of my #hollidays in #Thailand , #Asia. – Hashtag the Apps, techniques and Camera you used for the photo. I strongly recommend you to hashtag the special techniques you use; I do it all the time because it really makes your pictures interesting to others, moreover, it will make it easier for those looking for special images to find your picture. Let people know you by adding a comment about you on a pic!. If you want to let people know who you are you can use the hashtag #allaboutme followed by all your relevant information. Your can start by putting up all the important information and as time goes by and your situation changes, and you can add more relevant elements with their own hashtags. All the words that are preceded by a #hashtag will be tagged. P.D: Here is an example of my own presentation text uploaded on 28.01.2011. As you can see, I have used many different hashtags to let other users know about the most important details of my Instagram personality. It’s important for you to know that these #hashtags will make it easier for users that are looking for pictures or people with these keywords to find what they are looking for. Imagine that you and some of your friends want to share and upload pictures of your last party on Instagram. It’s very simple, just decide on an original keyword and tag your pictures with a hashtag. If all of the Instagram users that are going to this party take pictures and tag the comment with #partynicky2011, it will be very easy to find them on any Instagram search. Use an Hashtag when promoting a contest! 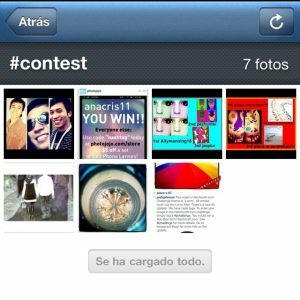 Some users (and soon brands…) use #hasthtags to organize different types of contests and groups. If you launch a contest with the theme ‘’Sunset’’ you would then ask all those wanting to compete to put a hashtag such as #sunsetcontest. 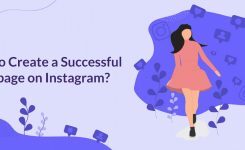 There is no doubt that this new Instagram upgrade was a big step forward in regards to contest organization, it will be a precious tool for all marketing departments and brands. We will soon be seeing the vast array of possibilities offered by the use of #hashtags on some of our upcoming posts. Can I tag old pictures that I previously published without hashtags? Yes you can. Simply write a comment in the comments box you shared with your followers and Instagram search engine will take it in account! 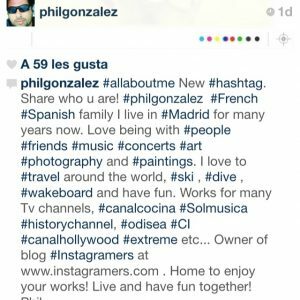 Can I put hashtags in other Igers comments? If you write a comment with a hashtag on your friend’s stream, the IG interface WONT TAKE IT INTO ACCOUNT. You could suggest a hashtag to a friend but ultimately he will have to add the hashtag on his stream if for it be tagged by the IG App. This is probably a good functionality to have, imagine how it would be if anyone could tag your pictures? Is a # (hashtag) similar to @ (at sign) ? No at all. # Hashtags is for keywords. @ at signs are for communicating. If I type @cat instead of #cat it would signify that you want write to a user called “cat” and not a mention of the word cat. Be careful! Where can I find pictures related to a particular keyword? Go to your profile, tap on “Search Instagram” and then on ‘’Tags”. At this point al you need to do is type the word you’re looking for and the results will appear below the search window. For example, if you where looking for pictures related to cars you would type #cars. 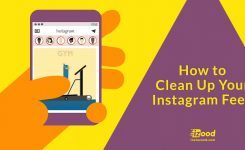 It’s obvious that the Instagram team will soon have to improve their search engine by adding more search possibilities such as different categories. #100likes, #200likes or #300likes. Add these tags to your pictures when they reach 100, 200, 300 or more likes. This will make it easier for users to find pictures that have reached these numbers. #yournickpop is quite interesting if you want to be able to find your Most Popular Pictures in one place. #flashbackfriday: Use this tag on Friday’s when you want to post pictures of your past, of your family, or when you where young. That’s very cool! 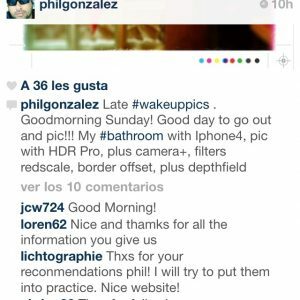 #wakeuppics: Some of my friends in Spain started to use that tag on Twitter and now it’s being used on Instagram to upload pictures related to your morning wake up process. User @iphonequeen launched this idea to help users who want to elaborate on who they are. #allaboutme was launched in 29.01.2011, back then we were only 12…just like the 12 apostles!!! I cant wait to see how it evolves. Will people use this tag? #jjchallenge Was lauched by @joshjohnson and @hatchcraft. The idea is to tag #jjchallenge on your photos that uset he Lomo filter. This enters you into a contest that could have you win your own Instagram photo printed out and framed in one of Hatchcraft’s beautiful bamboo shadow box frames. My friend @myriam40a launched another original idea on January 31th 2011. She decided to create a tutorial using @stoneyhearttutorial to demonstrate the different techniques available if you want to obtain different fun graphic results. She then created the #stoneyheart tag for users to tag all their pictures that where inspired by the tutorial’s specific techniques. Another example of a great contest is one that was organized by Spanish Cooking TV channel Canal Cocina (@canalcocina), also very well known for their famous Iphone Cooking App . Send your best #cooking or #food or #dishespics with hashtag: #canalcocina11 and the 30 best pictures will receive our famous Canal Cocina’s apron! Have fun, cook and pic!